The mantra was imprinted firmly on my subconscious early in my life, being surrounded by it through the day. Are you wondering what mantra was being chanted all day around me? After all, I was not living in a temple or ashram, but in my own home! There are mantras and then there are mantras – some simple, others difficult and yet others to be given to you only by a guru. But this one was so easy and simple that even a child could chant it and the lisp only added to is charm. And yet it was no ordinary mantra, but the taraka mantra, that can get you across the very oceans of wordly existence. You know which mantra I am referring to, don’t you? 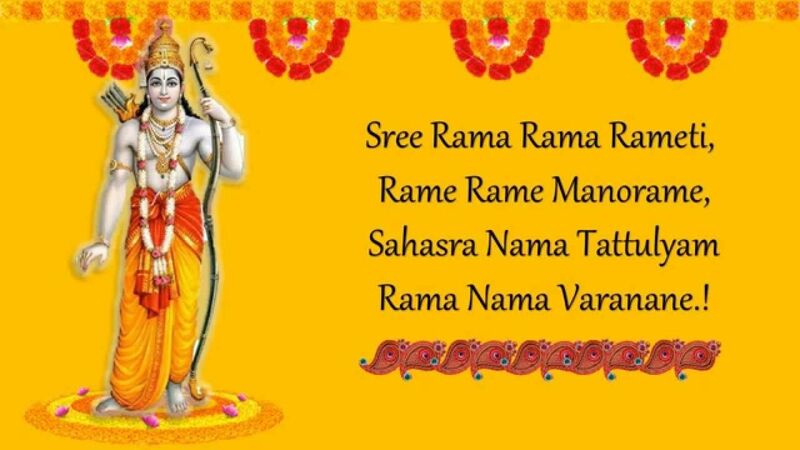 Reams have been written about the significance of Rama naama and the efficacy of chanting it. But what if it was chanted unconsciously? Nothing better! Appa, Rama! – called out by Mother and Father through the day. It was the equivalent of taking a deep breath for them, a pause to throw off mental and physical fatigue. Father would add, ‘Amma Seeta!’ I have not heard anyone else say that, except perhaps the saint poet Thyagaraja. ‘Seetamma maayamma, Sri Ramudu maa tandri (Seetamma is my mother and Sri Rama is my father), he sang. 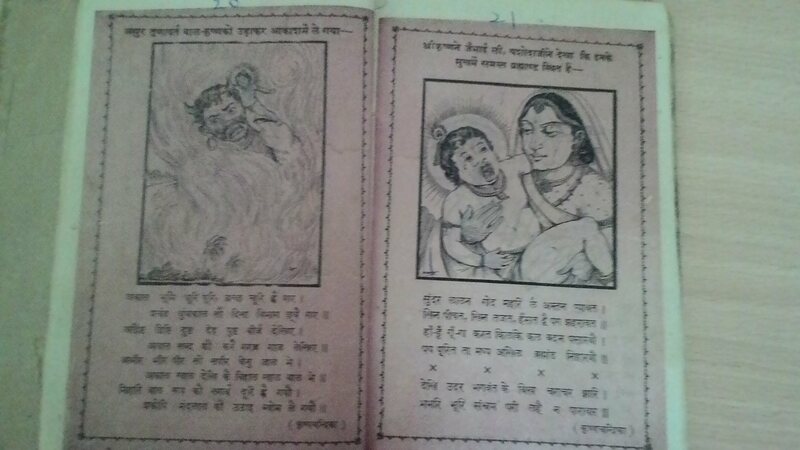 Indeed Rama and Seeta were our Parents. And my beloved eldest brother, who is no more, was named Kayanaraman. and the preferred nickname for him was Rama/Ram. which meant everyone chanted the Deity’s name through the day on the pretext of calling him or referring to him. Our ancestors had seen in wisdom of naming children after Gods and Goddesses, which meant that one chanted their names without one’s volition. In large families, it was common to have names of several Deities. Ram, Shankar, Lakshmi, Gauri, Krishna….and the many variations of these names reverberated in homes. You see, in our dharma, chanting the name of the Divine is considered to be the simplest form of worship. Every family has a family Deity, and often – especially in the south – children are named after them. 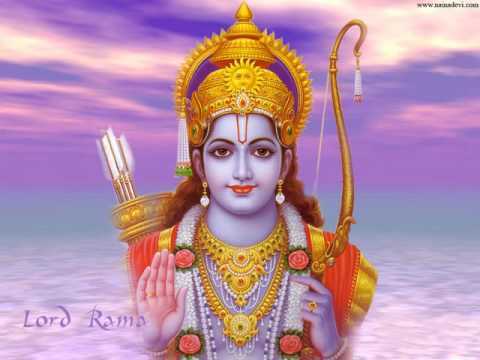 Rama’s name however, is universal. He is the ishta devata, a beloved Deity of millions of Hindus the world over. 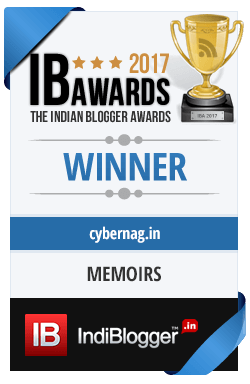 Coming back to my story, I think my love affair with Rama naama began when I had fallen seriously ill when I was six, confined to the bed for weeks. That was when the younger of my elder brothers, kept me entertained with stories from the Ramayana and Mahabharata. I wasn’t so interested in the latter as I was in the former. That was surprising because Krishna’s leelas had been familiar to me ever since I was a toddler. I only have vague memories of my paternal grandfather, but I remember that he used to tell me the stories of Krishna from a Geeta Press (Gorakhpur) ‘picture book’. I still have that book, its colours faded with age. Apparently I used to retell it with all the tones and embellishments that he had taught me – when I had been all of two! The exploits of Krishna were no doubt interesting, and he was a hero in my little eyes; but at six, it was Rama who appealed to my emotions when I heard his story and cried. A son, who didn’t hold any grudge against his stepmother for sending him to the forest, a son who loved his parents enough to honour their wish, a brother who loved his younger brothers, a devoted husband, who was tender and loving, a great friend, a protector of the weak….the list was long for a young girl to make her eyes shine and fall in love with the very name of Rama. There are any number of stories in our puranas that tell us that Rama naama is more powerful even than Rama Himself! One of them is about how the vanaras, led by Hanuman threw big boulders inscribed with Rama’s name in the ocean while building the setu to Lanka, which floated while those without His name sunk. 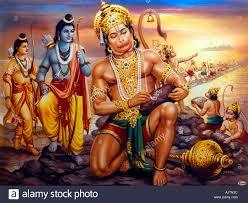 About how Hanuman, the greatest of Rama bhaktas, is present wherever Rama’s name is chanted. I remember during my childhood, how diligently and with great faith, the elders and even youngsters wrote the beautiful naama in notebooks, and offered them in temples as one offers flowers. It could be Sri Ramajayam, Ram, Jai Shree Ram or Sitaram in any language. I myself have experienced the calm it induced – the rhythmic strokes on paper as the names added up. Many people practice this across the country even today. My parents must have written the Rama naama several lakh times during their lifetimes. It means that if one were to chant the name of Rama thrice (राम राम राम), it is equivalent to chanting the entire sahasranamam. None of the other nine Avatars of Vishnu, nor any other Deity’s name, but only that of the beloved Deity Rama! One’s mind boggles at the number of times we each had recited the Vishnu Sahasranamam every day, by just calling out to my elder brother or intoning ‘Hare Ram!’! Rama naama has come to my rescue whenever I have needed support – during my loneliest hours, the most confused or terrified moments – that no living being could have provided. I believed in a benign Presence around me that would always protect me from any danger, tangible or intangible. I called upon Him pretty often, especially since I was petrified of the dark. So when I had to go at night to the back balcony of our first floor house on some errand, I used to call Rama to go with me by chanting His name. And He always appeared in my mind’s eye with His bow and arrow and a smile on His face. How could He protect me without His bow and arrow and how could I be comfortable if he were not smiling? And when I saw the rabid-looking black dog in the street leading to my aunt’s house, I would begin to furiously chant ‘Ram, Ram’ to keep it at bay. Sometimes it left me alone, but at others, it barked its head off. It was easy for a seven-year-old to tell herself that Rama had stopped it from barking on the silent days and from chasing her on the days when it barked! The faith in her Rama was that deep and implicit. It was many years later in a convent school I had joined during high school that I learnt from the nuns and fellow Christian students about not taking God’s name in vain; about blasphemy; about us all being sinners and more. While the other points didn’t bother me much at that time, the one about ‘not taking God’s name in vain’ did. I just couldn’t wrap my head around that one! I mean, for me Rama and Krishna and other Gods were my friends, family, whom I called upon for everything and sometimes even for nothing! Here I was being told that God was like the stern Headmaster who could not be disturbed! It was already a difficult time of transition for a teenager, and the added conflict of faith and beliefs tore her up. What followed were years, nay, decades of endless floundering on the tumultuous waves of rituals, devotion and life itself, before I finally found my way. But that is another story…. You know ma, this post had such a calming effect on me, almost like listening to you speak! My grandparents and now my parents followed/follow this tradition of calmly writing 100 SriRamaJayams a day. It never made any sense to me then as a kid but now I have begun to appreciate the calming effect it must have brought them following this soothing routine. ‘Appa Ramachandra’ is a sigh that my grandma used to utter everytime she heaved about doing her chores. This post truly evoked some nostalgia ! Thank you Kala! It made me go back in time and relive the moments, which is why I had penned the thoughts down. We do have variations of the call sent to Rama. My mother used to say, ‘Shappa, Rama!’ which was just ‘Shhhh Appa Rama!’ when she was too tired! I have written Srirama Jayam as a girl, but don’t anymore. Perhaps I should begin again. Your point about blasphemy is so true. Thank goodness our view of Divinity is not the same as that of Islam or Christianity. We’d have had a thin time of it if we had! We have the exact opposite of the blasphemy dictum of the Abrahamic religions. Jews don’t even say ‘God’. And here we are told to keep chanting! And how I love that! As for you shivering in the dark all by yourself, perhaps that made you the strong person you grew up into, to stand rock steady as you faced life’s tribulations. I never appreciated the need for rituals, however small, till I was well into my fourth decade of life, believing that I was much above those 🙂 But they can be infinitely comforting. Did you know that even those who frown upon religious rituals and follow some spiritual path, have their own rituals? How wonderful that there is no concept of Blasphemy in the Hindu faith, and how comforting! Our ancestors wouldn’t have told us to chant God’s name if there had been any concept of that, Manju! On the contrary. Ajamila’s story is proof enough of that! And yes, it is infinitely comforting. A very useful post wonderfully written.To a devout Hindu it needs no special persuasion to make him/her chant the powerful Rama Nama.The efficacy of chanting in bringing certain calmness and inner strength besides taking the devotee closer to godhead hardly needs adumbration. May Lord Rama and Sita through our repeated chanting sit enthroned in our hearts for ever. We do keep chanting God’s name without our own volition, in so many ways, don’t we? And when we concentrate on the naama, it bears even more fruits, in terms of calmness and centeredness as you have pointed out. The difference is with the chanting of different name i.e. “vaheguru”. I get energy chanting Vaheguru. It was even when I was a child. “Rama” is mentioned in guru granth sahib may be more number of times then Ramayana. Thanks for reading and commenting, Rameshwar. I knew that Guru Granth Sahib mentions Rama and Krishna, but didn’t know there were so many references to Rama! Yes, we do chant the mantras that we learn as kids and these are so simple and effective. They actually calm the nerves when we chant them at times of stress and anxiety. That is beauty of Indic faiths, where we chant the names of the deities and even Gurus. Vaheguru!